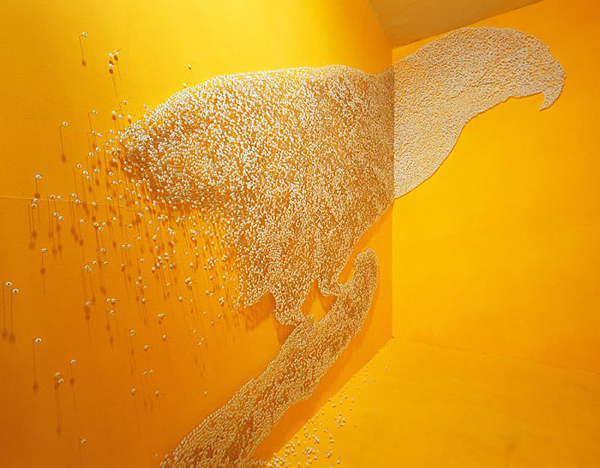 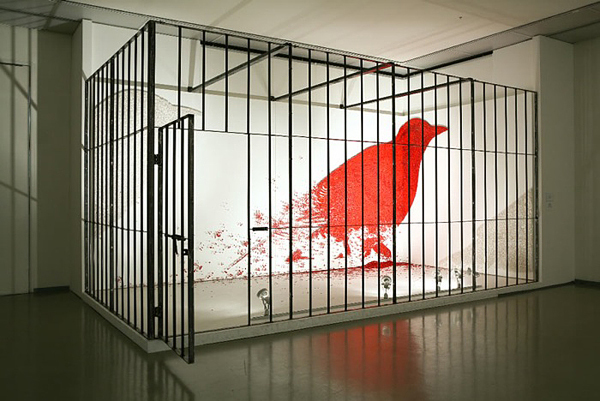 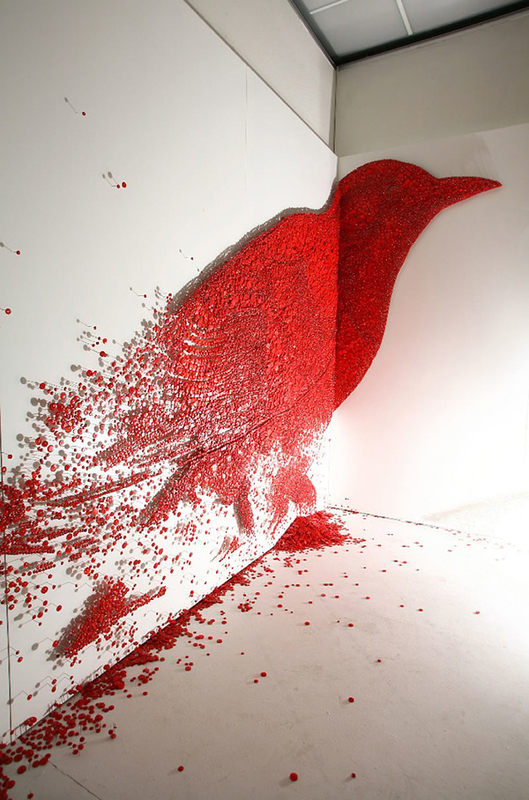 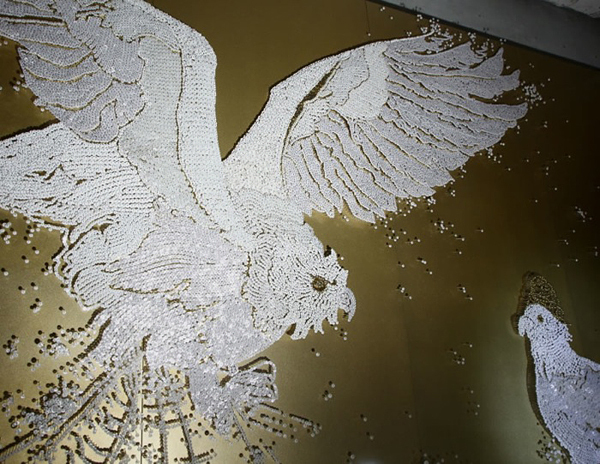 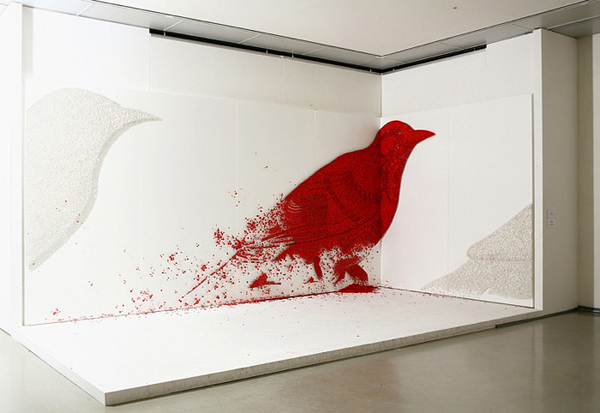 Korean-born artist Ran Hwang creates stunning large installations using buttons and pins to stitch up clothes. 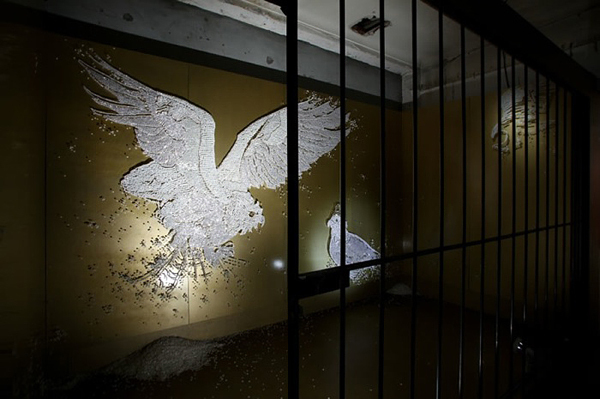 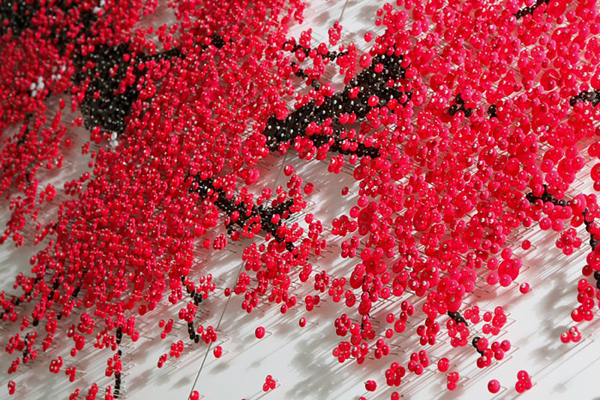 When you look up close her creations look like a pile of pins, but from a distance installations transform into amazing images of birds and cherry blossom trees. 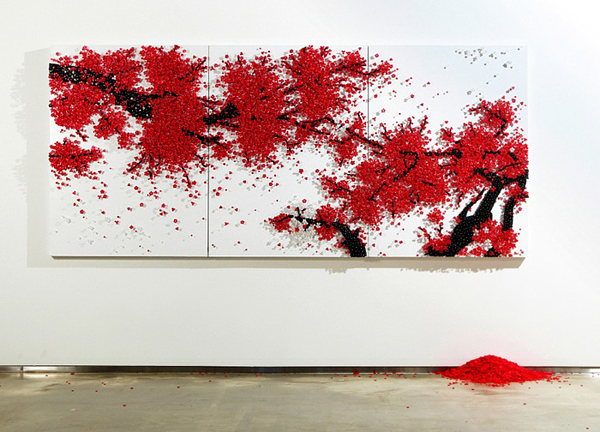 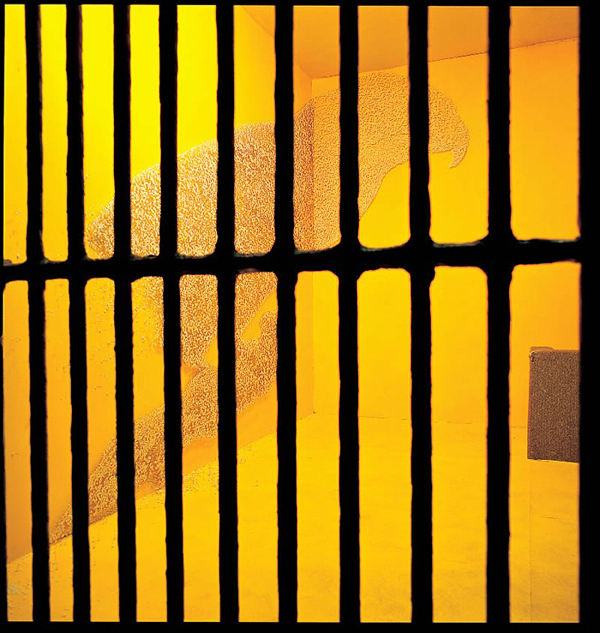 By the way Hwang graduated from the School of Visual Arts in New York and has exhibited his work in New York, Paris and Seoul.